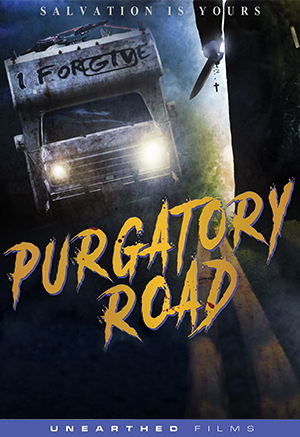 PURGATORY ROAD: Unable to stop a thief from stealing his father's modest nest egg, young Vincent grows up blaming himself for his parents' sudden suicide. Becoming a priest who operates a highway-based ministry with his ambivalent brother, Vincent's services include offering sage confessional advice to regular sinners while raining death on unrepentant thieves. 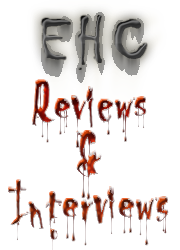 had a chance to check this out the other day and i have to say i REALLY enjoyed it. in the interest of full disclosure i went in with a prior bias because of my problems with Biro, so when i sat down i was expecting to HATE it ... but that was not in fact how it turned out. there's some tasty gore, but when the effects are done by Marcus Koch that's a given. the lighting was good i thought, the film was paced and acted well, and the characters actually go through some "change" through the course of the story ... and yes, there IS one! if you have a chance to see it, do so ... one of the better ones I've seen over the last few years and that's after starting the movie kinda WANTING to hate it because of personal issues with the film's distributor. Don't get how you could hate a movie due to problems with Biro. After all he just distributes Mark Savage's experience. Felt it is such a shame if people ignore movies because of a distributor...Biro isn't the Devil just a naughty boy from time to time. But that isn't important, what is are some of the classics that may not have been experienced if it wasn't for Unearthed Films...or just harder to find...or, know about. Trailer looks solid, makes me ponder! Is it in a similar vein to Midnight Meat Train with the demonic looking fella? Make up and gore effects look well done and the story looks interesting enough. large percentage of the recent releases by Unearthed have seemed to be in the vein of movies that i don't care for, not such a stretch to assume that this would be the same. i was actually very pleasantly surprised at this one however, because it has so many of the things Biro seems to think aren't even possible in underground films based on his own words. I watched this one the other night. It was really good! Had some touches of '70s religious-themed horror. Marcus did a great job with the gore FX as always.